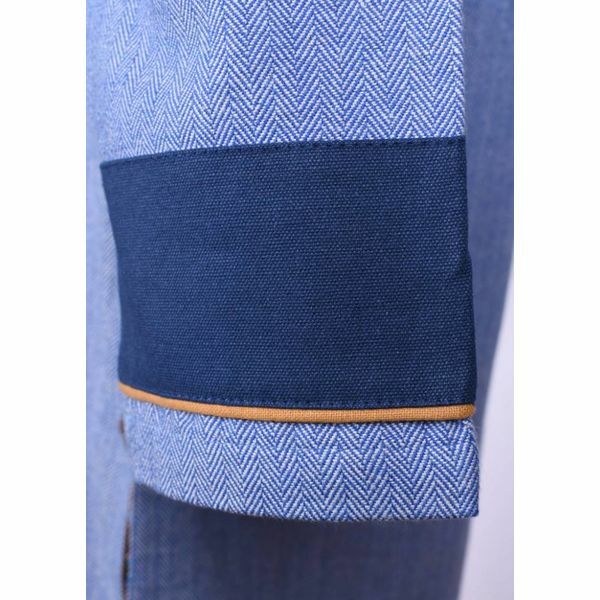 The herringbone motif is a historical weaving method that has been used for centuries, from the early Middle Ages to the present day in, for example, Harris Tweed. 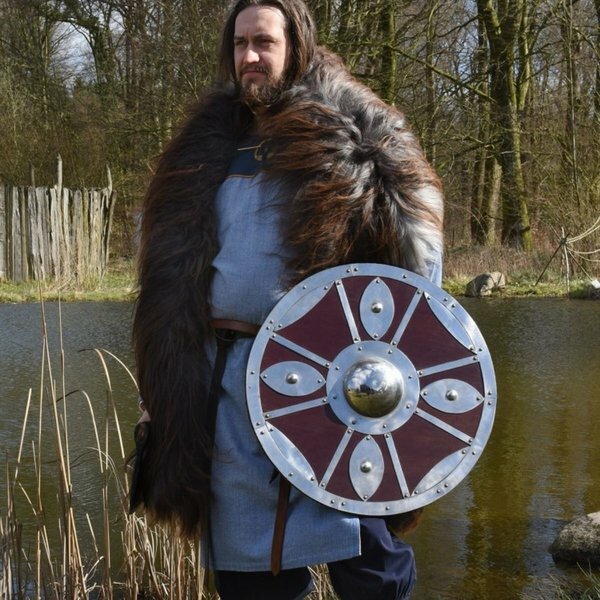 This tunic is based on original fragments found in Bernuthsfeld, Thorsberg, Hedeby and Birka. 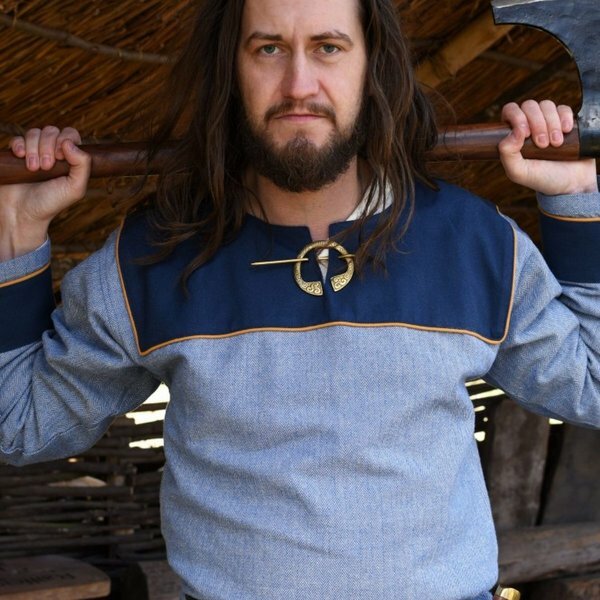 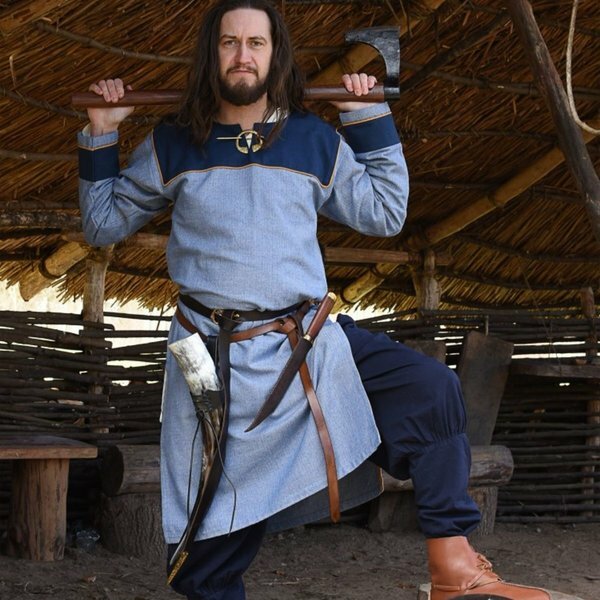 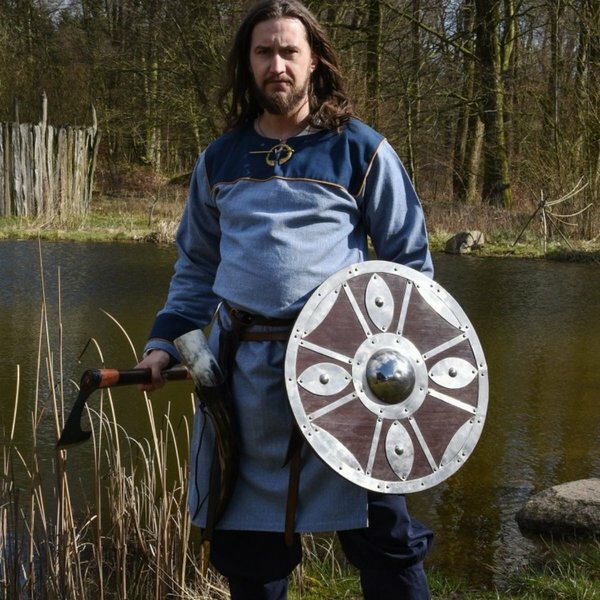 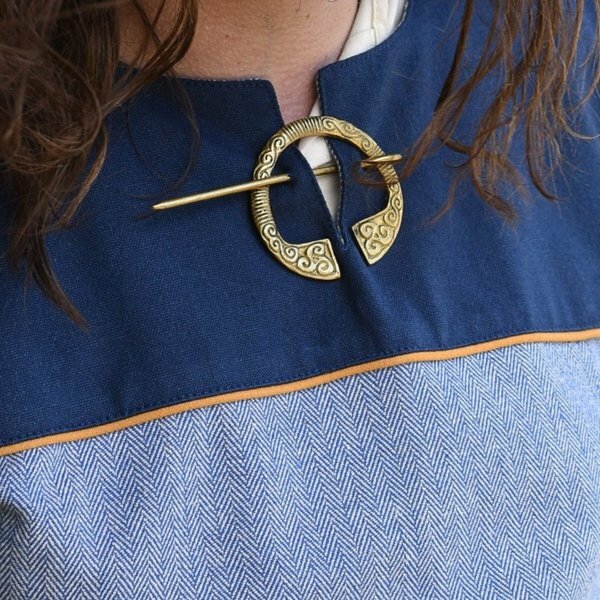 This tunic is perfect for re-enacting and cosplaying of early medieval people in Western Europe such as Vikings, Merovingians and Franks. 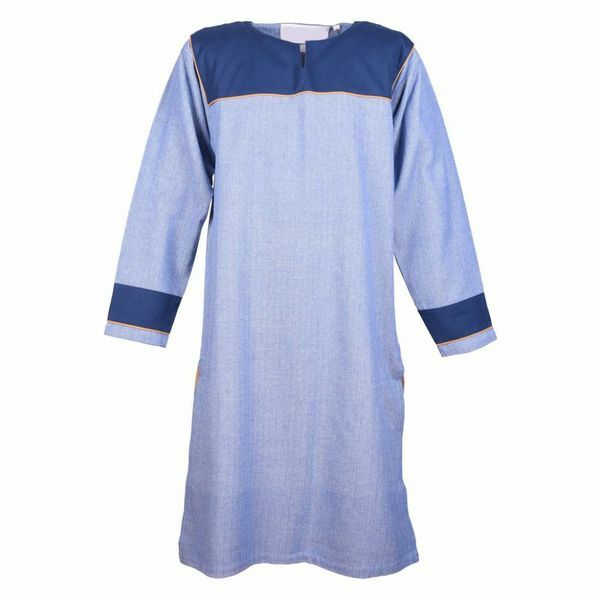 The tunic falls to the knee and is made of sturdy cotton. 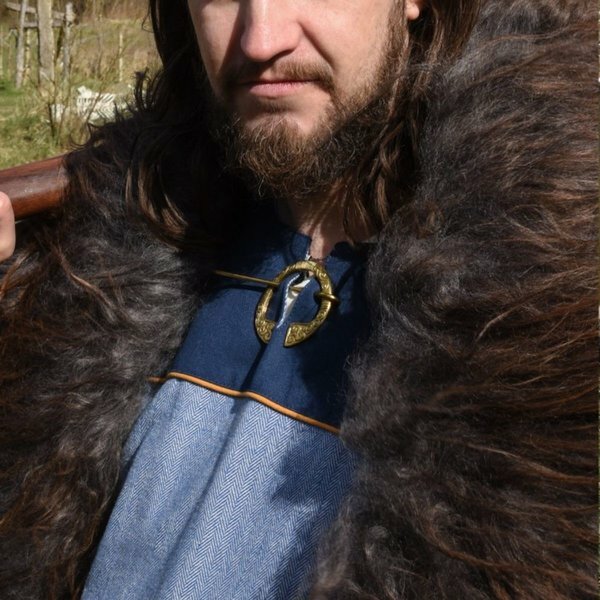 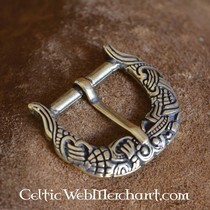 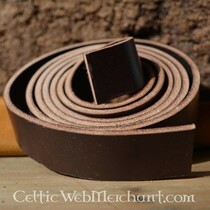 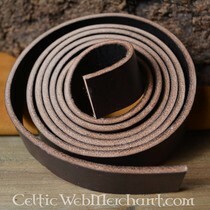 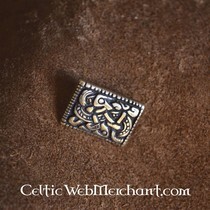 The fabric strips that adorn the sleeves and neckline also fit in early medieval fashion. 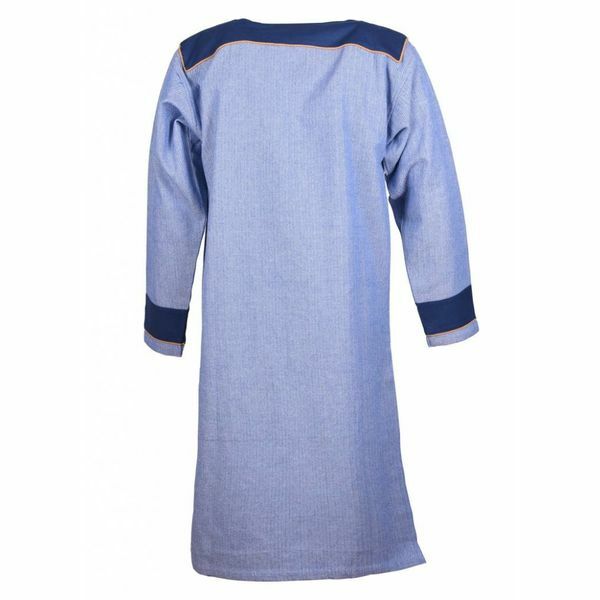 The two splits in the fabric on the sides ensure that the tunic can be worn comfortably. 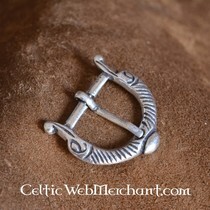 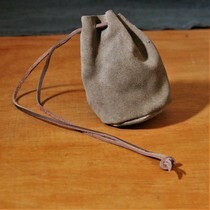 The neckline also has a split, which can be worn open or closed with a fibula.